We are a family owned and run company, based in Dorchester, Dorset. All of our functions and menus are overseen by our head chef, Rob Scott, therefore ensuring that consistency is key to all of the events. After 4 years at the University of Nottingham, Rob found himself wondering what career path to follow. A year spent travelling in New Zealand resulted in his getting a job in a kitchen. 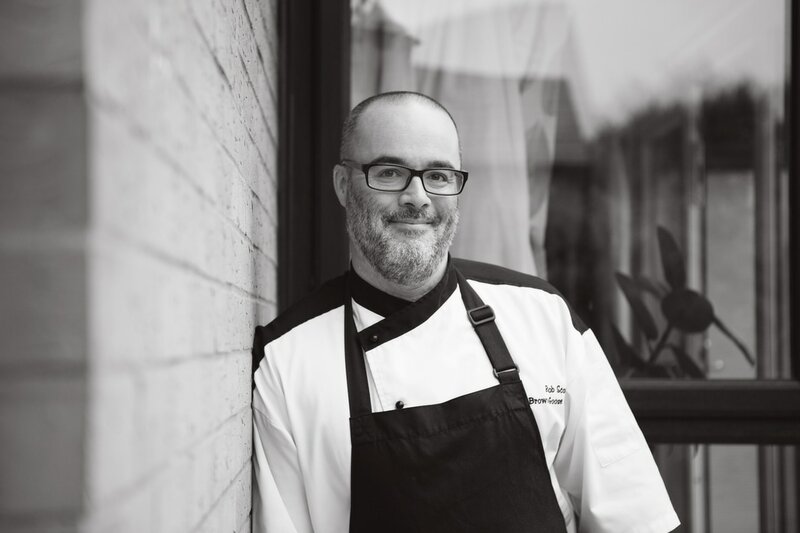 Rob then spent the following 16 years honing his craft in some of the UK's finest Country House hotels, as well as establishments in Australia, Bermuda and the U.S.A. He has also spent time as a Personal Chef to a family of 6. Rob's desire to 'cook food his way' saw him set up Brown Goose Catering in early 2016. His roots are based in European Cuisine but with Pacific, Asian and American influences. Rob's wife, Polly, can probably be described as the 'brains and the beauty' behind the Goose. A school teacher in her spare time, she has a passion for food and first class service that matches Rob's. Her main role is to oversee all the wait staff and also make sure that everything is in place before we go to a function. Her eye for the small details can help make the difference between a plain table setting and an exquisite table layout. The rest of the team consist of both experienced chefs and wait staff. All of the chefs that work for Brown Goose come from either a MIchelin or Rosette standard background and have previously worked in a fine dining establishment. One thing we pride ourselves on is the friendliness of our staff. It is our priority that our staff have a good rapport with our customers and clients.